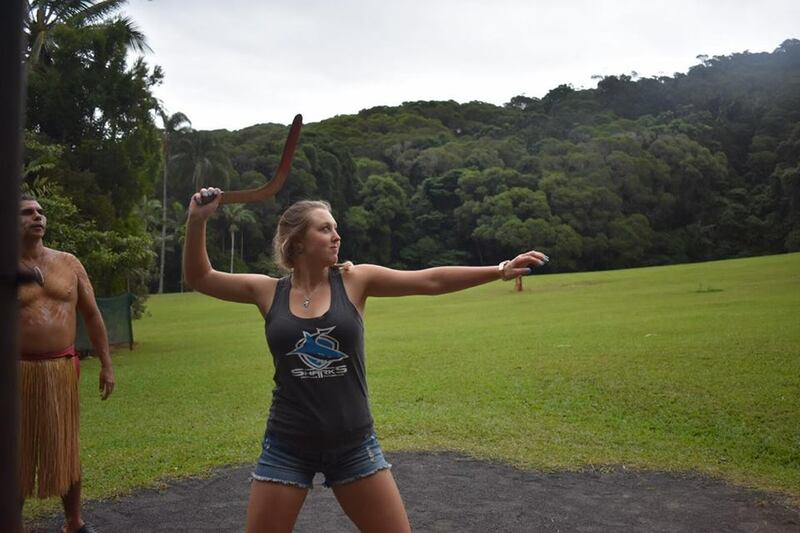 Gabriela Knutson, a junior on the tennis team, went on the Australia: Sport, History, and Culture summer program in 2017. The Athletic Department’s mission statement is as follows: Create and foster a culture of academic and athletic excellence which prepares student-athletes as leaders in our global society. With careful planning, student-athletes can study abroad. Get informed and make sure you follow the proper steps! Think ahead and choose the right time to study abroad so it works with your schedule and major. You may also consider completing some liberal arts core requirements abroad. Talk to your academic advisor about your plans to make sure they fit in your academic plan. Research programs and options: Browse the Syracuse Abroad programs, and talk to Marie Kulikowsky at the Syracuse Abroad office. Be sure to mention you are a student-athlete. There are many program lengths to choose from, ranging from year-long to just two or three weeks in duration. Timing of study abroad is essential to student-athletes. You will need to consider various factors, including practice and competition schedules, potential post-season competition and other team commitments. You will also have to think about eligibility issues, scholarship constraints, and access to conditioning facilities while abroad as well. Speaking with your coach and academic coordinator will help you determine the most appropriate time for you to study abroad!